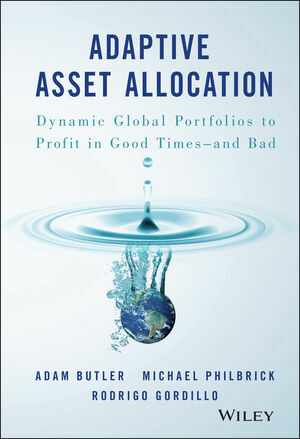 Adaptive Asset Allocation is a no-nonsense how-to guide for dynamic portfolio management. Written by the team behind Gestaltu.com, this book walks you through a uniquely objective and unbiased investment philosophy and provides clear guidelines for execution. From foundational concepts and timing to forecasting and portfolio optimization, this book shares insightful perspective on portfolio adaptation that can improve any investment strategy. Accessible explanations of both classical and contemporary research support the methodologies presented, bolstered by the authors' own capstone case study showing the direct impact of this approach on the individual investor. Financial advisors are competing in an increasingly commoditized environment, with the added burden of two substantial bear markets in the last 15 years. This book presents a framework that addresses the major challenges both advisors and investors face, emphasizing the importance of an agile, globally-diversified portfolio. An optimized portfolio must be structured in a way that allows quick response to changes in asset class risks and relationships, and the flexibility to continually adapt to market changes. To execute such an ambitious strategy, it is essential to have a strong grasp of foundational wealth management concepts, a reliable system of forecasting, and a clear understanding of the merits of individual investment methods. Adaptive Asset Allocation provides critical background information alongside a streamlined framework for improving portfolio performance. ADAM BUTLER, CFA, is CEO of ReSolve Asset Management, a firm that specializes in ETF managed portfolio solutions for global asset allocation. Adam has over twelve years of experience in investment management, and is primarily responsible for investment research and asset allocation. He is also the lead author for the GestaltU blog. MICHAEL PHILBRICK, CIM®, is President of ReSolve Asset Management. He has over twenty years of experience in investment management, contributes to ReSolve's blogs and research, and is responsible for investment decisions, coaching, and strategic leadership. RODRIGO GORDILLO, CIM®, is Managing Partner of ReSolve Asset Management. He has ten years of experience in investment management, contributes to ReSolve's blogs and research, and is responsible for investment decisions and business development.